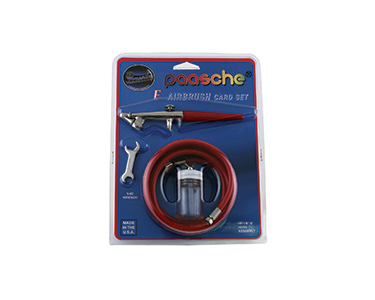 The Paasche F series airbrush set is a simple single-action system. This kit includes a 6 ft. braided air hose, a 1oz color bottle, and a V-62 wrench. An excellent choice for both a beginner and a skilled airbrush artist.